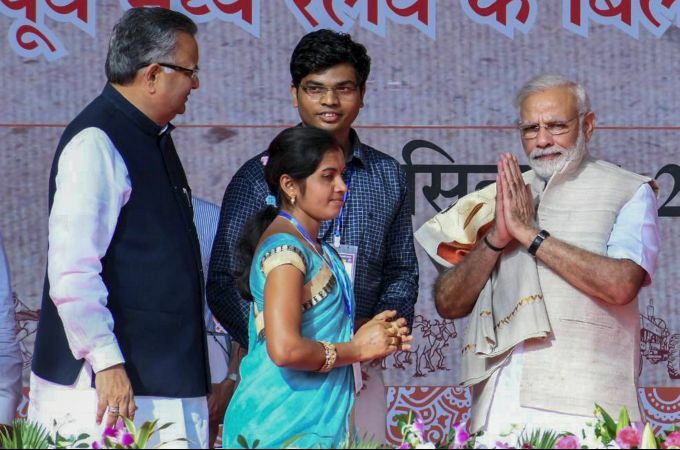 Janjgir: Prime Minister Narendra Modi (R) with Chhattisgarh CM Raman Singh (L) being presented with a jacket and a shawl made from banana tree and Lin seed (locally known Alsi) at a farmers rally at Janjgir in Chhattisgarh Saturday, Sept 22, 2018. Manchester : Wolverhampton Wanderers' Joao Moutinho celebrates after scoring his side's first goal during the English Premier League soccer match between Manchester United and Wolverhampton Wanderers at Old Trafford stadium in Manchester, England, Saturday, Sept. 22, 2018. 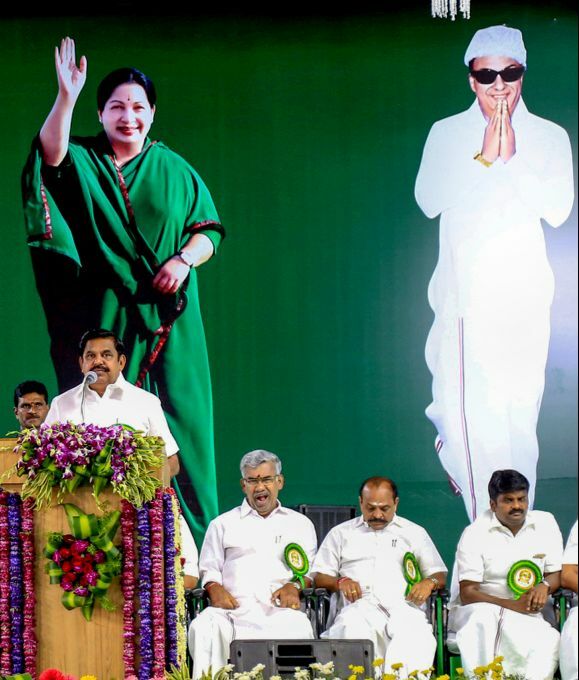 Kanyakumari: Tamil Nadu Chief Minister K Palaniswami addresses at the Centenary Celebrations of late chief minister MG Ramachandran in Kanyakumari, Saturday, Sept. 22, 2018. 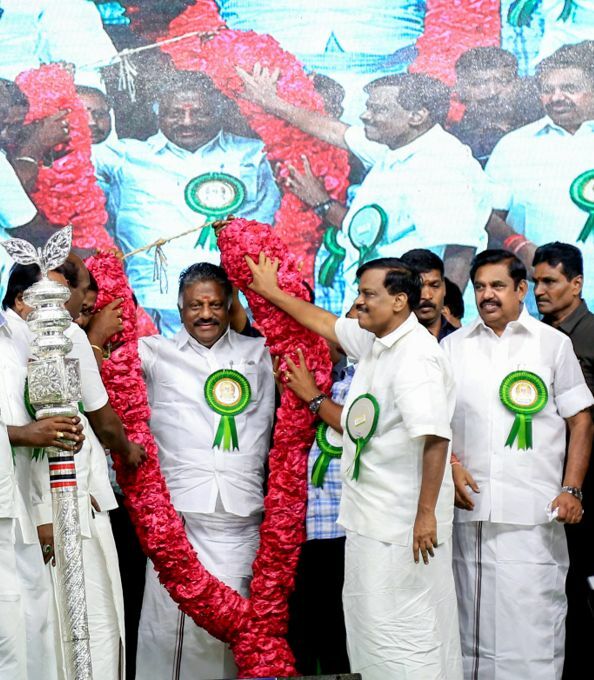 Kanyakumari: Tamil Nadu deputy Chief Minister O Panneerselvam being garlanded by party workers at the Centenary Celebrations of late chief minister MG Ramachandran in Kanyakumari, Saturday, Sept. 22, 2018.